You were probably shocked because I don't seem like I'm the creative type when it comes to paper, wrapping, and gifting but you are wrong. 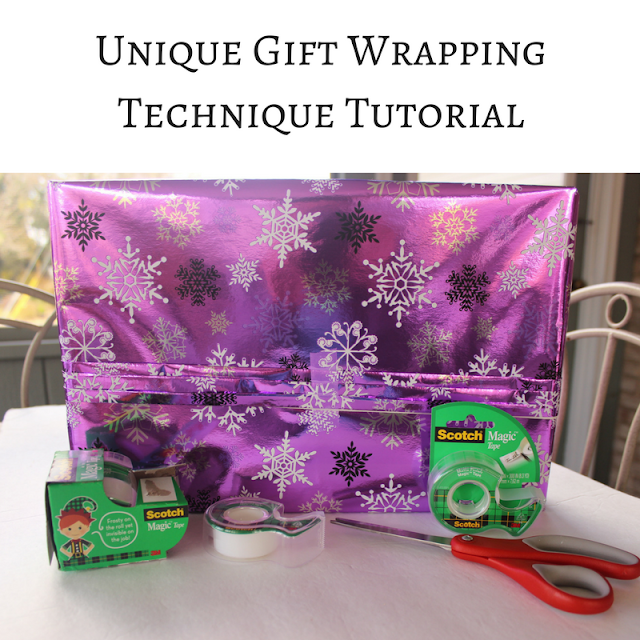 All it takes is the right supplies and a few tips and tricks and you can add some beautiful embellishments to any gift this season! 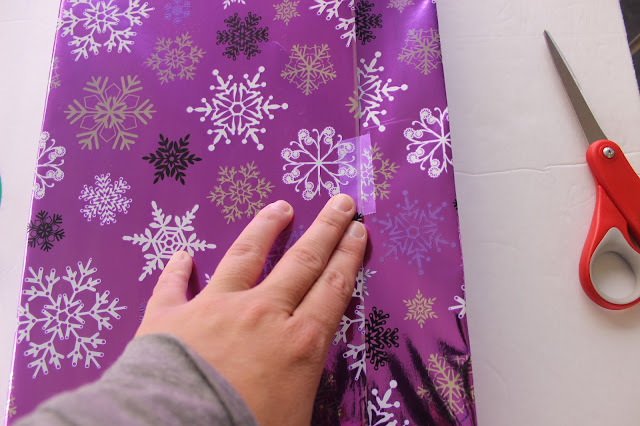 Today I wanted to share with you a tutorial of a unique technique for wrapping gifts so that you can impress everyone before they even get to the actual surprise inside! 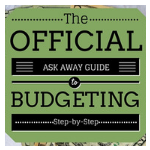 So before we get started with the tutorial I wanted to go over what supplies you need and why. You will definitely want the Scotch® Magic™ Tape 3 Pack Caddie because the tape is invisible so it won't take away from your beautiful wrap job! 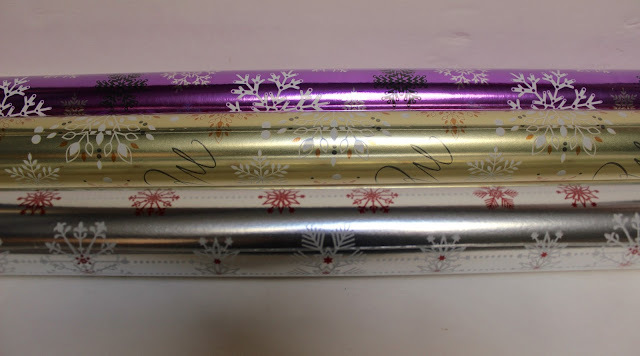 It's so nice to stock up and get a 3 pack, especially around the holidays when you know that you'll be wrapping a lot of gifts. 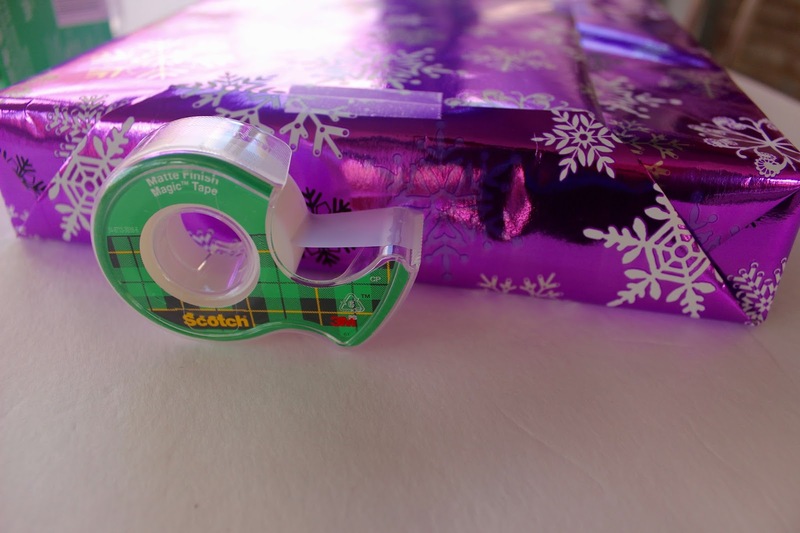 Also, the Magic® Tape Single Dispenser Roll is great to keep around the house because it doesn't take up much space and can easily be pulled out when needed to wrap a last minute gift or fix a tear in the wrapping paper (in case you have nosey children!). No wrap job is possible without a reliable pair of scissors that glides so smoothly across the wrapping paper. 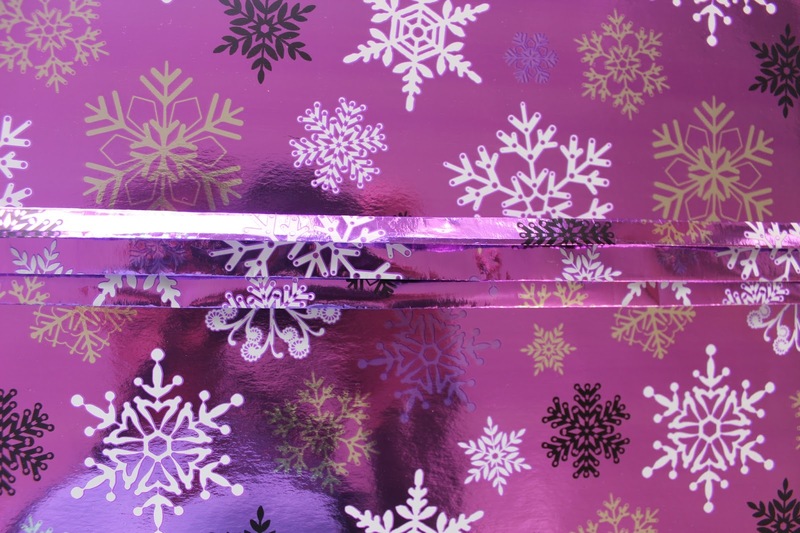 I mean, you really can't wrap a gift without wrapping paper. Make sure it's a nice thick foil. I like foil because it bends and folds nice and smooth, which is what you need for this technique. Now that you have the supplies you need, let's start on the tutorial. Step 1: Make a square or rectangle. 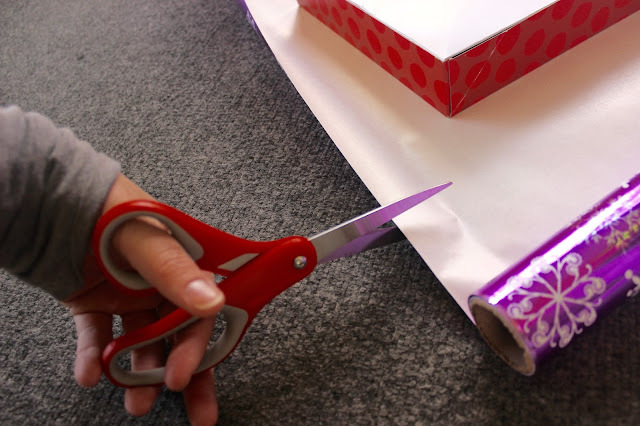 It's easiest to wrap things that are in squares or rectangle shaped boxes so if your gift is an odd shape, make sure you find a box. 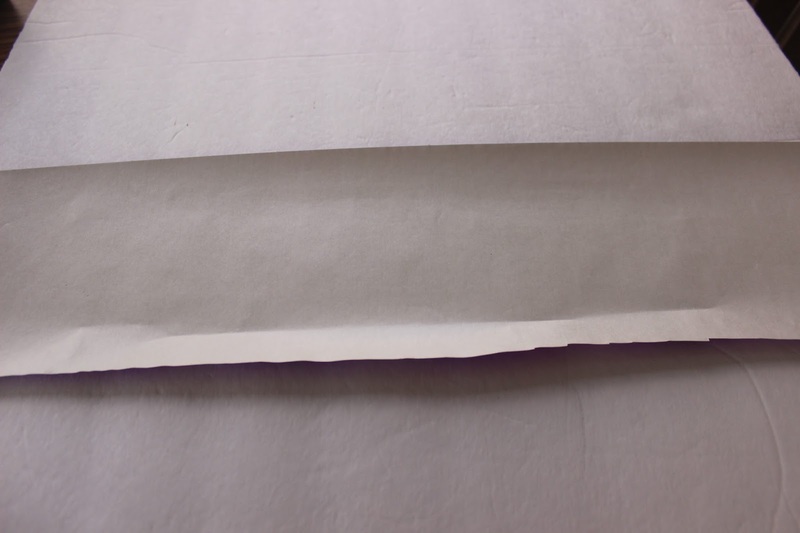 Step 2: Measure out the paper size you need and cut. I usually place my box on the paper like so, and then flip it over one more time so you get two boxes worth of a size. 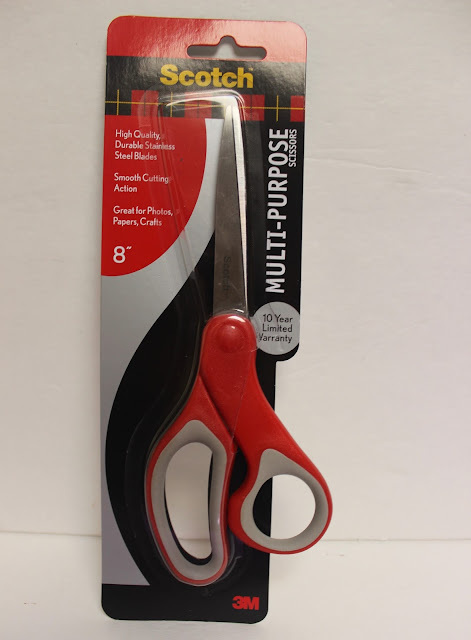 This is where you will need to use your smooth Scotch™ Multi-Purpose Scissors. Step 3: Fold and secure. 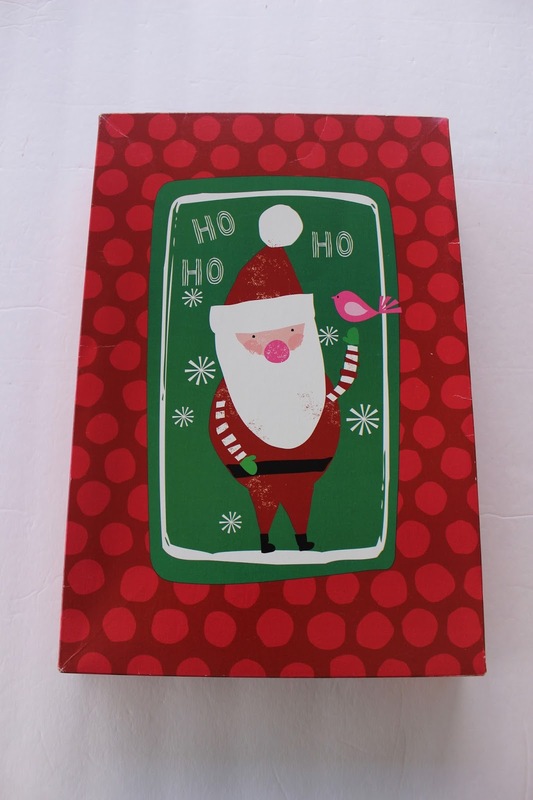 Place your box face down in the middle of your wrapping paper. 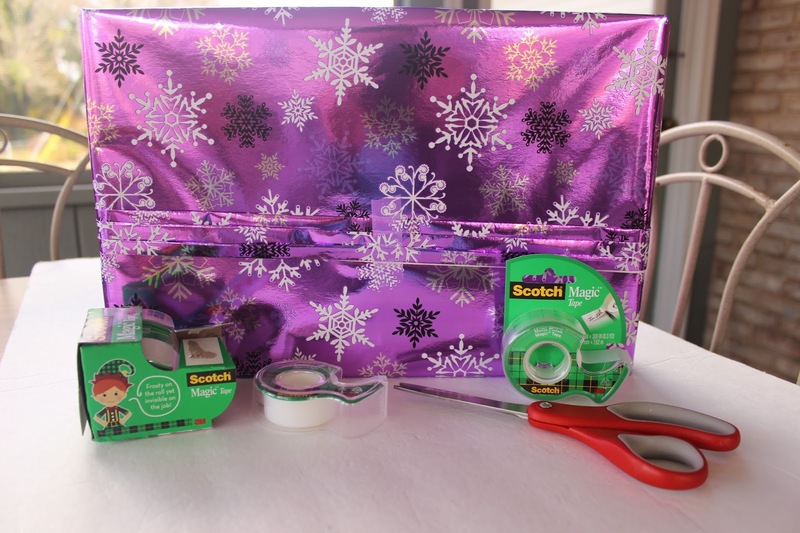 Fold one side half way across the box and secure with tape from your Scotch® Magic™ Tape 3 Pack Caddie. 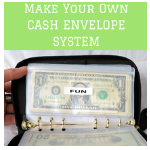 Since you have more freedom with your hands the caddies is nice and versatile because you can move it around with you as you move around your gift. Step 4: Fold the other side. 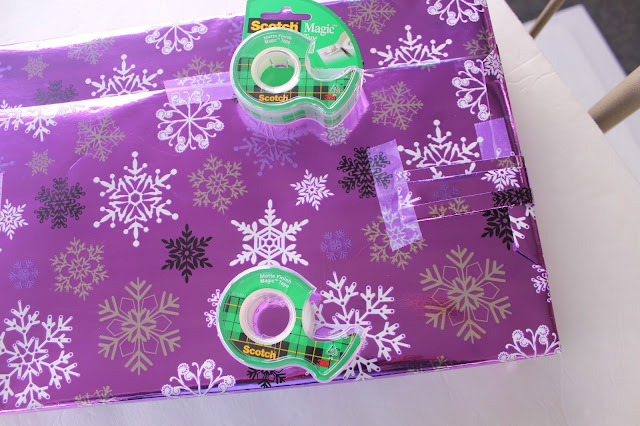 Fold the other side half way across the box and secure with tape. Step 5: Fold and secure the short sides. 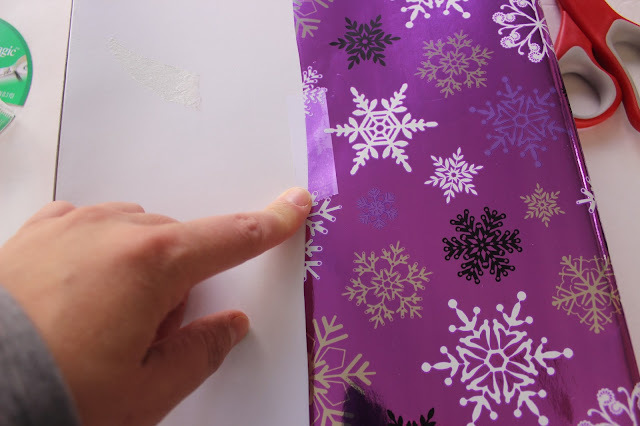 Fold the paper and secure on each side of the box. 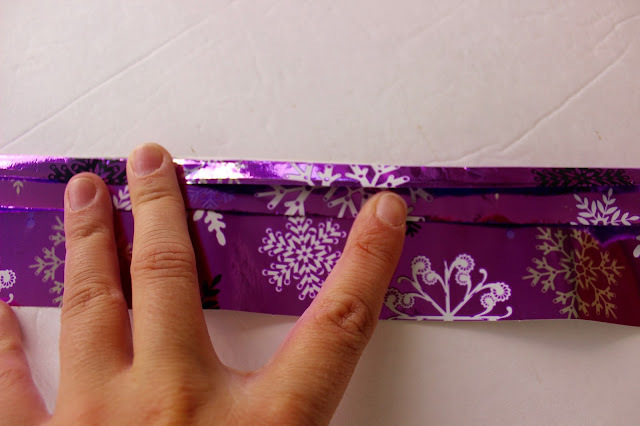 If you have any remnants (strips of wrapping paper) gather them up. 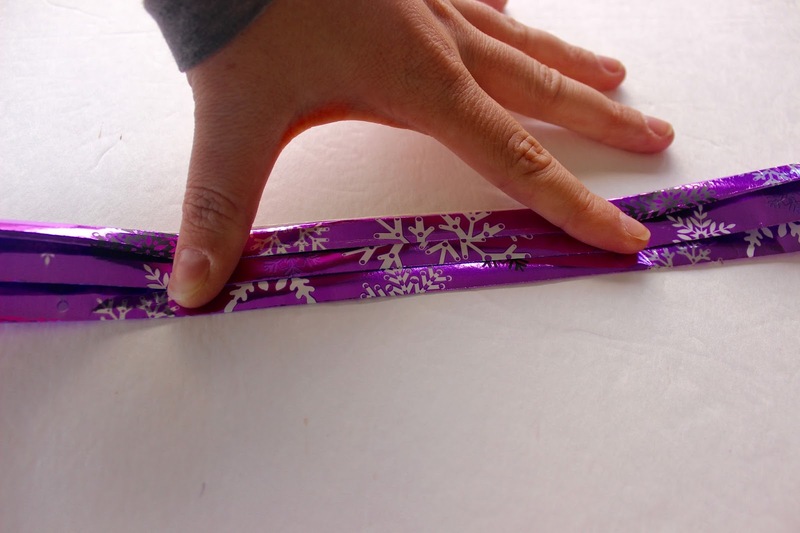 If you don't have any, then simply cut a 4 or 5 inch strip of wrapping paper. It can be as long as you want but make sure it's only 4-5 inches in depth. Step 7: Lay the remnant face down. Choose a remnant that is about 6 inches tall and lay it face down. If you have to cut your remnant to size that's fine too. Step 8: Fold the bottom edge about 1 inch up and crease it. Step 9: Flip the remnant over. You want the folded side to be at the top. 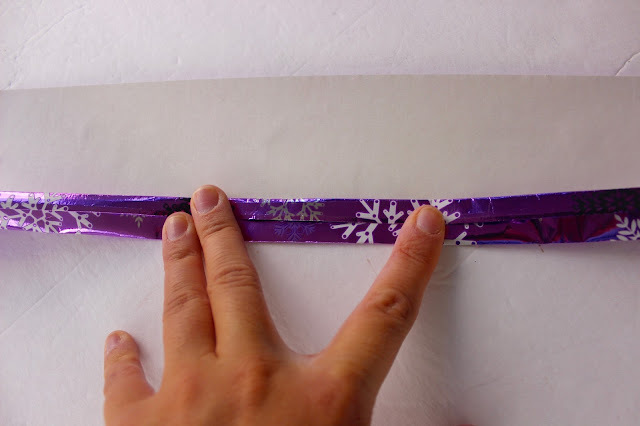 Step 10: Fold the top side down about half an inch and crease it. 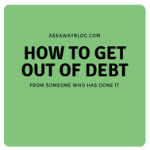 Step 11: Flip and fold the remnant. The folded side will be on the bottom now. 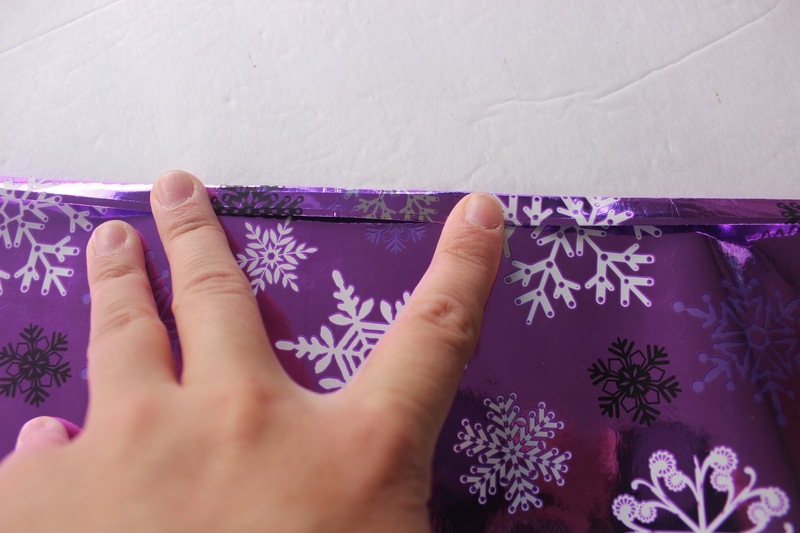 You will fold the bottom side up an inch and crease it. Step 12: Repeat steps 9 through 11. Once your remnant looks like this (usually about 3 times of repeating steps 9-11) you are done. until your remnant looks like this. 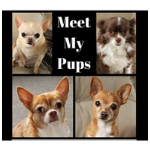 You will be left with about a 3 inch folded accordion strip. 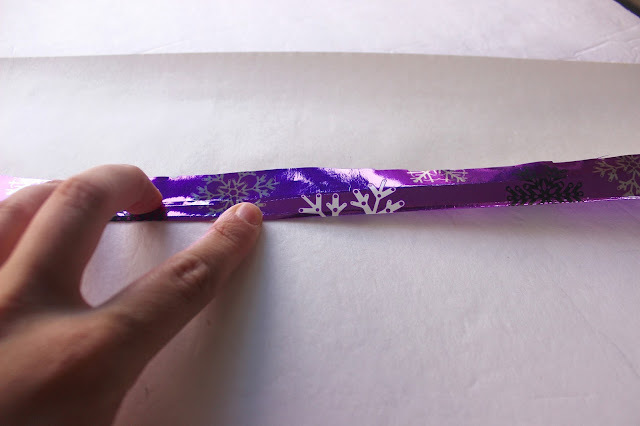 Step 14: Lay the remnant on your gift. You can use any position like diagonal or straight across. 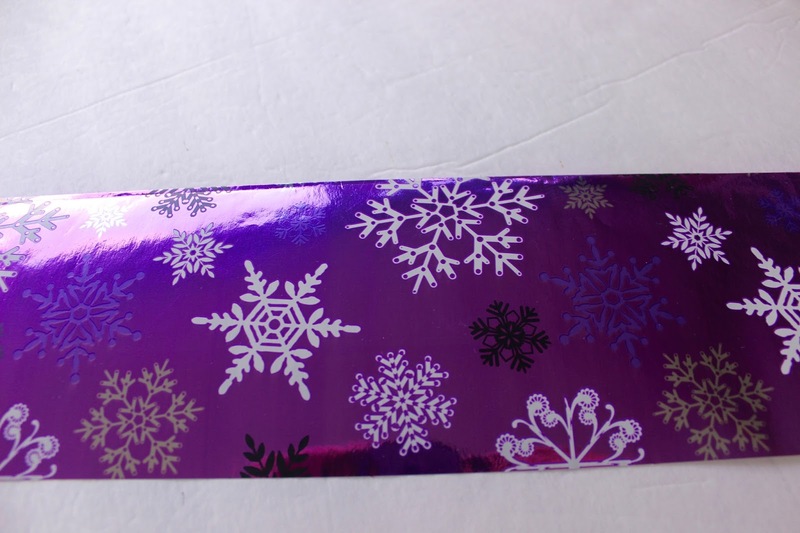 The next step is to affix your accordion strip to your gift. 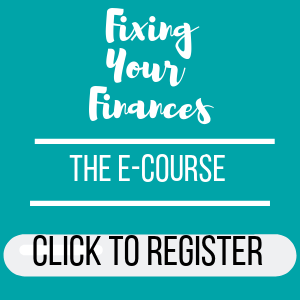 You can do it on the corner, straight across, or in any position you please! 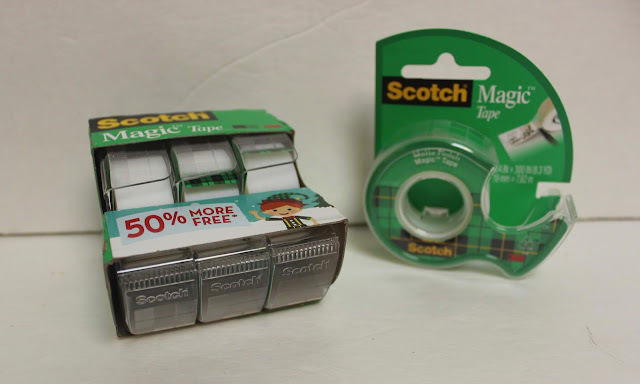 Use tape from your Scotch® Magic™ Tape 3 Pack Caddie! VOILA! Look at how beautiful and fancy it looks and all it took was a few folds. The other great thing about this technique is that it makes it so less remnants go to waste. So it's a way to give back to the environment which you know I love to do. You can find the products from this tutorial in the Holiday & Stationary section of your local Walmart! 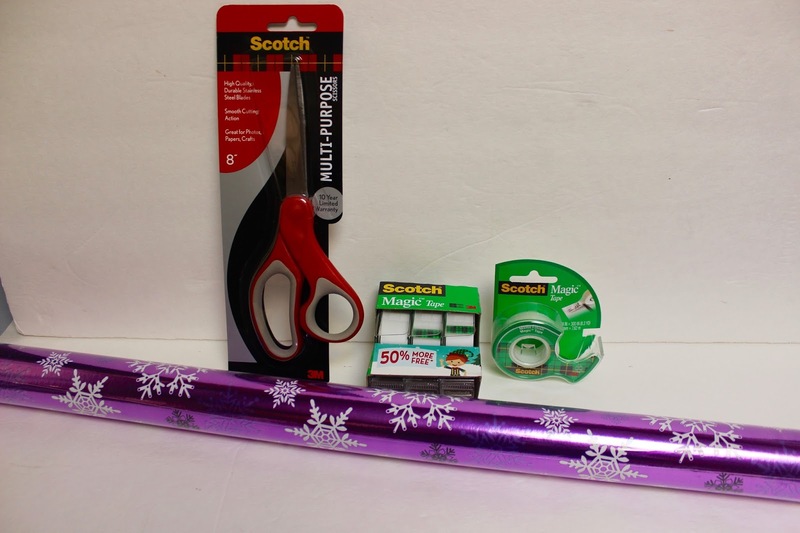 Make sure you stock up on Scotch® Brand wrapping products early and save, with a 50% bonus and Rollback! I think it's important to support the Scotch® Brand as they are donating $200,000 to Fisher House this holiday season. 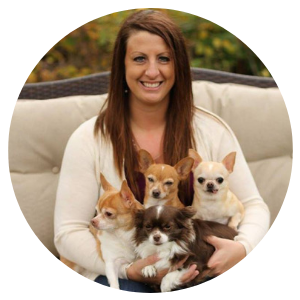 Fisher House is a charity that offers a network of comfort homes where military and veterans' families can stay at no cost while a loved one is receiving treatment. 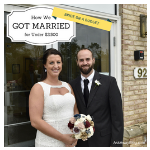 What a great way to give back! 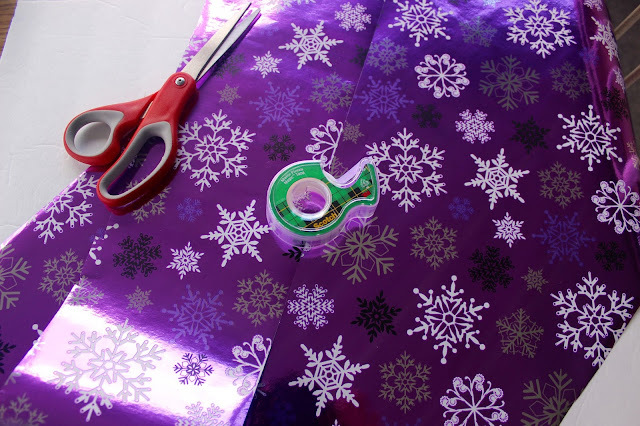 So just remember to have fun as you make your gifts uniquely beautiful and Wrap.Give.Repeat for a great holiday season! Love the wrapping paper your picked out.